I love this pie, it’s just as easy to make as a regular cottage pie, but feels extra special due to the spices and alternative topping. 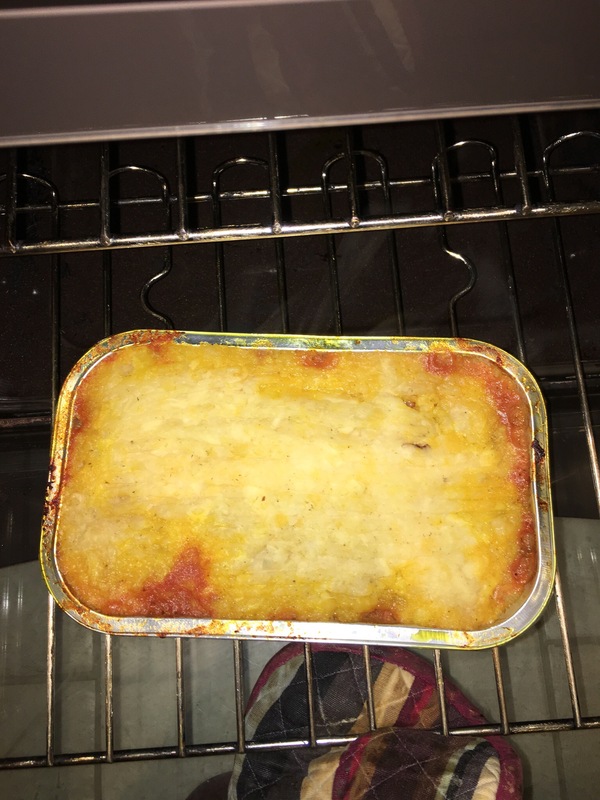 The quantities stated make two large pies, which are suitable for freezing before the final cook in the oven, and serves at least two per pie. I often serve this mid-week if we have friends over, I would still only serve 1 pie for 4 people, but would do a big portion of veggies and some crusty bread to go with it. This is actually quite a quick recipe to cook, you can chop the onion whilst the mince is cooking, and the swede celeriac and potato whilst the onion is cooking, therefore your total cook and prep time shouldn’t be more than 30 mins, along with 30 mins in the oven, and don’t forget you are makin two pies, so the second one just needs to be defrosted and cooked, the cold pie will take about 45 minutes. Brown lamb in a little oil if needed, remove from frying pan and add the onions to the same pan (hopefully there is enough fat from the lamb mince to cook the onions but if not add a little veg oil to the pan), cook really slowly for about 10 mins so that they are really soft and just turning golden, this is really important, don’t rush it. Whilst the onion is cooking chop the swede, celeriac and potatoes into cubes approx 2cm, put the swede and celeriac in a large pan of salted water and bring to the boil, add the potatoes and bring back to the boil, then reduce heat and simmer until they are very soft. Keep your eye on the onions and once they are really soft and golden add garlic and cook for a minute or so, then add all the dried spices and cook for another minute or so, stirring so that all the spices are evenly distributed, return the mince to the pan, tinned tomatoes, water and the peas. Bring to the boil and simmer for about 10 minutes, add more water if you want more sauce, you could also add extra water and cornflour if you were trying to extend the mixture. When the potatoes, swede and celeriac are soft carefully drain and mash, adding the creme fraiche and grated nutmeg. Pile half the minced lamb in each pie and top with the potato mixture. One pie is for the freezer and the other is for the oven, they will also keep for about 4 days in the fridge. Tonight’s pie will take 30 mins to cook in a 200c oven. ← Are we really allergic?